Oracle(s orcl) execs do not typically like to utter the “C-word.” Oracle CEO Larry Ellison has engineered (pardon the pun) the company’s move from “commodity” servers to costlier “engineered systems.” The company pushes its database and applications as high-end enterprise-class software — worthy of high support charges. But apparently, commodity cloud infrastructure is one area where the software giant intends to play and play hard starting next year. “Down at the infrastructure level, we intend to be price competitive with Amazon(s amzn) and Microsoft(s msft) Azure and Rackspace(s rax). So we intend to compete aggressively in, what I will call — commodity not being a bad word — the commodity Infrastructure-as-a-Service marketplace,” Ellison told analysts on the company’s second quarter earnings call last week. So, Oracle will be cost- and price-competitive in infrastructure “while being highly differentiated at both the platform level and the application level,” Ellison said. (SeekingAlpha has the full transcript.) In short the message is: IaaS is table stakes, the real dough lies in Software as a Service (SaaS) and what Ellison called a “highly differentiated” Platform as a Service (PaaS) that will provide it Oracle-like margins on enterprise applications. On the call, Ellison claimed that Oracle has more enterprise SaaS applications than any other cloud services provider — a statement that has to raise eyebrows up the road at Salesforce.com(s crm) and Microsoft(s msft), which claims that Office 365 is the most-widely deployed SaaS application. Sanford Bernstein analyst Mark Moerdler said Oracle has seen good traction in human capital management (HCM), sales force automation and ERP SaaS applications which saw triple-digit growth. Ellison has made noises about entering the Infrastructure-as-a-Service (IaaS) space before, but last week’s statements turned up the volume. Given the concerted push Amazon Web Services is making into enterprise accounts, financial analysts following legacy enterprise vendors want to know their response. In a research note, Nomura Securities analyst Rick Sherlund, pointed to Oracle opening up its 17th data center worldwide as proof that its building out infrastructure for this cloud push. However well Oracle does in this big endeavor, Ellison’s newly stated cloud ambitions lie in stark contrast to his statements decrying cloud as a fad a few years back. His words still echo, so Oracle has a lot to prove in the cloud arena. I am interested to see whether Oracle can release anything as compelling as Office 365, especially to SBs like mine. “Differentiation” means every app or system I develop will have to be done over again from scratch to have a backup on another company’s servers. That just gives me another reason to shun Oracle. I can’t see Oracle competing with AWS. AWS is a low end IaaS offering. I don’t mean that in a bad way. I use AWS for some of my clients’ mission critical services, but you need to be very careful with the configuration – for example to cater for the occasional EBS volume that goes missing. Even with loads of redundancy AWS still worked out cheaper for my clients than any alternative. Oracle don’t really do low end – so I doubt they’ll be competing with AWS, Rackspace and Azure on price. I don’t mind seeing Larry lose a few hundred million on this “strategy” of both competing on scale and differentiation against the likes of Amazon’s AWS. Reverse integration into the value chain, starting at square one in terms of service offerings, with a few datacenters and no proven operational ability to scale, is sheer madness. There could be other strategies for Oracle to enter the cloud market, particularly as a niche player but Larry’s ego is too big and/or naive for that, and so we’ll wait to see how many hundreds of millions it’s be (not that it matters to him). They are using OpenStack right? they seem to mention it. 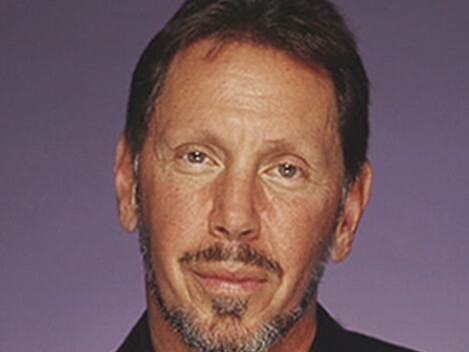 Oracle is now an OpenStack sponsor and it bought an OpenStack player in Nimbula… It is not clear to from Ellison’s statements that Oracle’s IaaS will be basedon OpenStack. Stay tuned i guess. TempleOS has a oracle with a little o. No, they don’t. Did you even read your own article? He said the *word* “cloud” is stupid, because it’s just a faddish way to say “a server on the other end of a network”, and they already sold servers and services, so they felt no need to change all their labeling to “cloud”. I don’t know why that would raise eyebrows. Microsoft has one extremely widely deployed SAAS application, and Oracle has lots of them. Apart from their own one SAAS app, Microsoft hasn’t exactly been lighting the world on fire with their SAAS efforts. Azure is not bad but AWS beat them to the punch by several years. Ellison’s statements at the Churchill Club had some merit — he said that what others called “cloud” was basically computers and software running off-premises — not too much new there and he was right to slam the hype. However what he arrived at late was the notion of elasticity — of people being able to spin up and down instances to pay as they go. Oracle was way late to that party which amazon pioneered starting 6 years ago (maybe 7). Great for startups to get more entrants into the market. Larry please go retire to your hawaiian island because you’re now pretty much an irrelevant bore when it comes to technology.